Photo by Beate Janzen. Taken in 1991. Cabarete, Dominican Republic, situated on the north coast of the country, is a charming little beach town bursting with a mix of interesting locals and transplants alike. For our hotel’s 20th anniversary, we have been highlighting some of Cabarete’s most beloved characters in a series called Cabarete Icons. There is one waterman in particular that each of our Icons has credited as a catalyst for their successful careers. 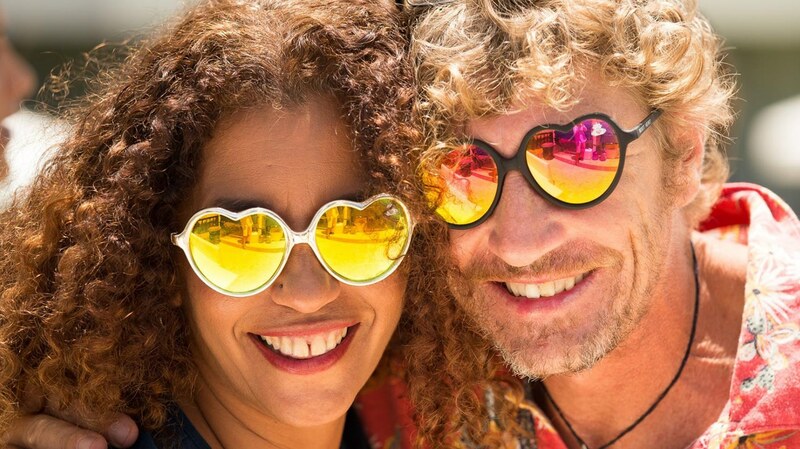 So, in this rendition of our Cabarete Icons series, we admire Bavarian transplant, Marcus Bohm, for his caring nature and innovative spirit that has changed the lives of many in Cabarete. Most recently, Marcus is known for his surf school 321 Take Off, and the world-renowned event, Master of The Ocean, but for over 25 years he has helped Cabarete transform into the “Adventure Capital of the Caribbean.” In the late 80s, the world of windsurfing had become obsessed with Cabarete. 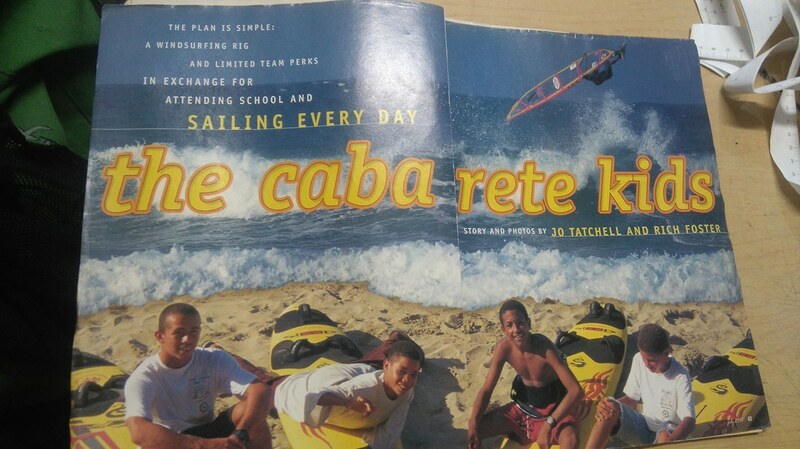 All of the popular windsurf magazines touted the perfect conditions, and five times between 1988 and 1997 Cabarete played host to the Windsurfing World Cup. Among all the hype of this newfound paradise, was an advert for six-months work at a German-owned Windsurf Center. This opportunity had the name of the young and frisky windsurfer, Marcus Bohm, wrote all over it! Marcus stepped off the plane July 20th, 1990 and immediately fell in love with Cabarete. He worked his six months at the windsurf center and by then knew this was where he wanted to spend the rest of his life. Back in 1990, Cabarete was very different as compared to today. Not much infrastructure, almost no cars, and only one phone connection where you could make and receive calls located in the center of town…in a container. These conditions didn’t foster many options for work. Always a trailblazer, Marcus recognized a need for repairing sails not met, and with a short visit to Germany, he returned with his sewing machine and promptly opened Cabarete Sail and Board Repair Shop. The local kids became fascinated by this exciting sport and would hang out at the shop watching and learning from Marcus’ repair skills. With the youngsters showing so much interest, Marcus taught them how to windsurf on some previously mended equipment. 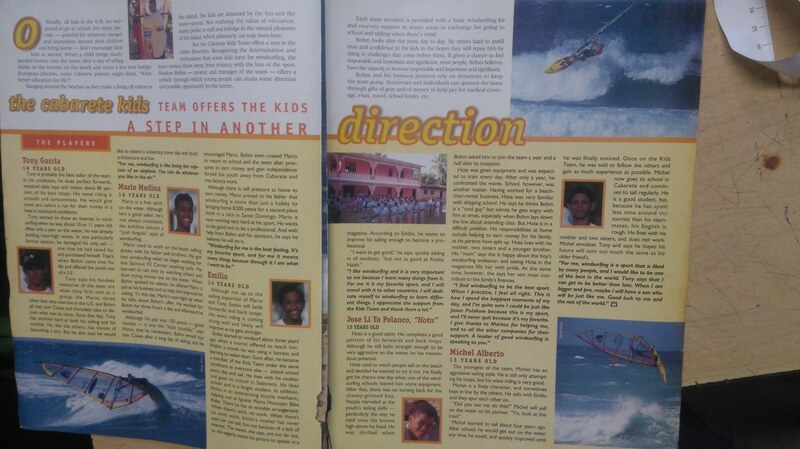 He was impressed by how talented the kids were, so he created the “Cabarete Kids Team” and entered them into the 1991 Cabarete World Cup. The one and only Tony Garcia was on this team of young locals and with the continued help of Marcus he moved on to become DR’s most sucessful windsurfer, travelling the globe on the dime of some huge sponsors, including Red Bull. Marcus soon expanded from a small repair shop, into the island’s very first surf shop, Cabarete Surf and Sport. As usual, Marcus had a crew of locals hanging out at the new shop and always a mentor he taught this group how to surf. The kids dedicated all their time to surfing and quickly progressed to a high level. At the time there were no locals surf contests, and lack of funds and rigid visa requirements made it difficult for the enthusiastic surfers to compete in other countries. So, Marcus set up a series of competitions around the island where the prize was tickets to the World Surfing Games in Huntington Beach, California. Altogether, 18 athletes competed and represented the Dominican Republic. As a well-seasoned waterman, Marcus kept hearing talk of a new, exhilarating windsport called kitesurfing. Sometimes in 1989, the first kitesurfers popped up and created quite a spectacle in The Bay! The sky hopping visitors were only here for a few days, so Marcus bought their equipment and taught himself how to kitesurf. Kitesurfing is not an easy sport even with professional lessons, but Marcus’ determination took him to his first kitesurf competition just a year later in Cape Verde. With a solid knowledge of kitesurfing now in his backpocket, he could now share the sport with others, including Cabarete Icons Eric Hertsens and Wilson Tavares. In 2002, Marcus’ experience landed him a consulting gig with Red Bull. During this tenure, he organized a variety of extreme sports events around the Caribbean including the 1st Extreme Sports Festival in Cuba in 2003. He also used his position to sign up local athletes like Marcos Diaz (long distance swimmer), Pablito Guzman (windsurfer), Susi Mai (kitesurfer), Luciano Gonzalez (kitesurfer) and Ivan Herrera (surfer) to team Red Bull. At the same time, Marcus became the advisor to the ministry of sports in the Dominican Republic. His involvement with Red Bull and background as multi-talented waterman culminated in the invention of an event which demanded the mastery of three different extreme watersports, crowning the ultimate waterman/woman. Cabarete offered the perfect conditions that would woo worldclass competitors to the north coast for the new event format, and keeping it local would give the Dominican athletes an opportunity to showcase their talent on a world stage. With some help from friends and sponsors, in 2003, Master of The Ocean was born. Mastery of surf, windsurf and kitesurf were a must and SUP was added later. To this day, the Master of the Ocean has attracted competitors, spectators, and media attention from around the globe. 2017 marks the 15th edition of Master of The Ocean and is on the calendar for February 23rd – 27th. Forever a humanitarian with a firm belief in getting economically disadvantaged youth into sports, Marcus works with organizations such as the Mariposa Foundation and Happy Dolphins, to teach children how to swim and how to become lifeguards. Marcus’s kindness and compassion have changed the lives of many over the years, and we don’t see him slowing down any time soon (especially with a beautiful, smart, and equally as feisty fiance, Patricia by his side)! Next time you see him on the water, give him a fist bump and shaka to show appreciation for his role in shaping the history and future of watersports in Cabarete.